Construction of Western Sydney Airport has officially commenced at Badgerys Creek, with Prime Minister Scott Morrison breaking ground at the site today. At the opening ceremony, Morrison talked up the significance of the project, calling it the ‘biggest game changer’ for the city of Sydney since the construction of the Harbour Bridge. The Badgerys Creek airport has been almost 50 years in the making, however progress on the project has been habitually hampered by complains from residents and environmental issues. The Prime Minister acknowledged these issues, which include noise and transport, and assured close community consultation. “It’s a huge project, and huge projects require working through a lot of issues,” he said. The Federal Government will invest AUS$5.6 billion in the airport, which is due to open in 2026. 11,000 jobs will be created during construction and the airport will support 28,000 direct and indirect jobs five years after it opens. Phase one of construction will involve the removal of 1.8 million cubic metres of earth, to level the site. Major earthworks are scheduled to begin next year.  Construction Global Network (CGN) is published by Anderson Murray Media: a diverse media and information services company focused on creating and distributing engaging content to business leaders worldwide.